TRANPLAN (TP) SYDNEY - Town Planners & Heritage Consultants has over 10 years of town planning / urban planning experience in Government & Sydney Councils, and as consulting town planners & heritage consultants. We are the Council approval specialists. Our town planning company provides initial FREE consultation so that our town planner can fully understand your situation and needs. 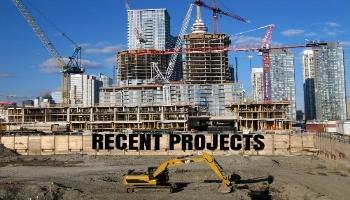 CONTACT our town planning consultants now to see how we can help with your planning project. The Department of Planning has released a draft planning package for St Leonards and Crows Nest, including a proposed rezoning for the Crows Nest Metro station sites. The planning package is on public exhibition until 3 December 2018. The Stage 1 Land Use and Infrastructure Implementation Plan (Stage 1 Plan) for the Western Sydney Aerotropolis is now on exhibition until 12 October 2018. The Stage 1 Plan provides an overview of proposed land uses and the sequence of development that will deliver Sydney's newest economic hub. The Environmental Planning and Assessment Act 1979 has been updated following the passing of the Environmental Planning and Assessment Amendment Act 2017 in the NSW Parliament in November 2017. The new Act will commence on 1 March 2018 with most of the changes coming into effect from this date. Others will take longer to come into effect as they require further guidance and consultation. This great city of Sydney has once again celebrated an old year and ushered in the new year in magnificent style. TRANPLAN wishes everybody a Happy New Year, and we look forward to working with everyone in 2018. Mosman Council - TRANPLAN prepared the Heritage Impact Statement (HIS) to support development application (DA) for the alterations & additions (renovation) to an existing single-storey semi-detached Federation dwelling in Cabramatta Road, Mosman (Mosman Council) to extend the rear ground floor living area and construction of a new detached single carport and studio. 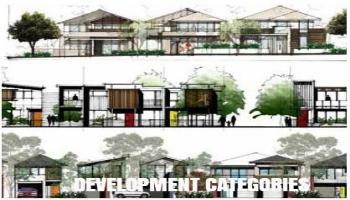 Challenges include reviewing the Mosman Council's Mosman Local Environment Plan 2012 & Mosman Development Control Plan 2012, and collaboration with the project architect to resolve issues. City of Sydney Council - TRANPLAN prepared the Heritage Impact Statement (HIS) to support a successful development application (DA) for the alterations & additions (renovation / fitout) to an existing 2-storey State significant heritage building in Hay Street, Haymarket (City of Sydney Council) and change of use to a dentist practice & medical centre. Challenges include reviewing the City of Sydney Council's Sydney Local Environment Plan 2012 & Sydney Development Control Plan 2012, and working with the project architect to resolve issues so that the works qualify for exemption under the Heritage Act 1977. The property is a Heritage Item of State significance (State Heritage Register No. 00693) known as "Municipal / Corporation building". Our consultant also sought exemption from Section 60 with the Heritage Council for the development under S57(2) of the Heritage Act 1977. After the DA was approved by Council, our consultant provided photographic archival recording in accordance with the Council’s conditions of consent & Heritage Office archival requirements. Parramatta City Council - Our town planner successfully assisted neighbours to make an objection to a development application (DA) to build a new 74-place Child Care Centre in Mobbs Lane, Carlingford (Parramatta City Council). Challenges for our town planner included thoroughly reviewing Parramatta City Council's Local Environmental Plan (LEP) 2011 and Parramatta Development Control Plan 2011, the Legislation (Children [Education and Care Services National Law Application] Act 2010) & Regulations (Education and Care Services National Regulations) introduced in 2011, the Department of Education & Communities requirements, and Council’s strict controls for Child Care Centres e.g. minimum indoor/outdoor play areas, child-staff ratio, facilities, acoustic and traffic / parking requirements, landscaping, privacy etc. The DA was refused by Council’s IHAP. Burwood Council - Our town planner prepared the town planning (Statement of Environmental Effects) report to support a development application (DA) for the change of use of a shop (existing fruit & vegetables shop) to a shop (supermarket) with packaged liquor sale in Burwood Road (Burwood Council). Challenges for our town planner was researching and reviewing the Burwood Council Local Environmental Plan 2012, and Burwood Development Control Plan. Sutherland Shire Council - TRANPLAN Sydney Town Planning Consultant prepared the town planning (Statement of Environmental Effects) report to support a development application (DA) for demolition of the existing structures and erection of a new dwelling in Murray Island, Sylvania Waters (Sutherland Shire Council). Challenges for our town planner was reviewing architectural design of the project and ensure the contemporary house is consistent with Sutherland Shire Council's Sutherland Local Environment Plan 2015 & Sutherland Development Control Plan 2015. City of Sydney Council - TRANPLAN consulting prepared a development objection for a development application (DA) for a residential apartment development in Bourke Street, Zetland (City of Sydney Council) . Challenges for our town planner was reviewing and analysing the proposed Stage 1 Concept building envelopes (with & without design excellence FSR bonus), Sydney Local Environment Plan 2012, Sydney Development Control Plan 2012 and object to the significant amenity issues because of the bulk, height, overshadowing, loss of visual & acoustic privacy etc. Campbelltown City Council - Our town planner prepared the town planning (Statement of Environmental Effects) report to support development application (DA) for the new dwelling house & attached secondary dwelling (granny flat) within the master planned residential subdivision of part of the East Leppington Precinct (Camden/Campbelltown) in Lomatia Place, Denham Court (Campbelltown City Council). Challenges include analysing the architectural design plans and reviewing State Environmental Planning Policy (Affordable Rental Housing) 2009, the Campbelltown Growth Centres Precinct Plan 2013, Campbelltown Council's Campbelltown Local Environment Plan 2015 & Campbelltown Development Control Plan 2015, including the Campbelltown Growth Centres Precinct (East Leppington) Development Control Plan 2013. Mackay Regional Council – TRANPLAN Sydney town planning consultant prepared a town planning report for a development application (DA) package to support the rebranding of a multi-storey Rydges Mackay Suites building in Gregory Street, Mackay (Mackay Regional Council in Queensland). Other town planning services include researching Queensland State Planning Policy , the Mackay Isaac and Whitsunday Regional Plan, the Mackay Region Planning Scheme 2017 Version 1.1, and the Subordinate Local Law No. 1.4 – Installation of Advertising Devices 2011. Campbelltown City Council - Our town planner prepared the town planning (Statement of Environmental Effects) report to support development application (DA) for the new dwelling house & attached studio within the master planned residential subdivision of part of the East Leppington Precinct (Camden/Campbelltown) in Riceflower Drive, Denham Court (Campbelltown City Council). Challenges include analysing the architectural design plans and reviewing State Environmental Planning Policy (Affordable Rental Housing) 2009, the Campbelltown Growth Centres Precinct Plan 2013, Campbelltown Council's Campbelltown Local Environment Plan 2015 & Campbelltown Development Control Plan 2015, including the Campbelltown Growth Centres Precinct (East Leppington) Development Control Plan 2013. Lane Cove Council - Our town planner prepared a development objection for a development application (DA) for a seniors housing residential apartment development in Longueville Road, Lane Cove (Lane Cove Council). Challenges include reviewing Lane Cove Council's Lane Cove Local Environment Plan 2009 & Lane Cove Development Control Plan 2009 and object to the significant amenity issues because of the bulk, height, overshadowing, loss of visual & acoustic privacy etc. and also the need to register the DA with Sydney North Joint Regional Planning Panel as the DA is a regional development pursuant to Schedule 4A of the Environmental Planning and Assessment Act 1979 (capital investment value of more than $81 million and Council is the owner of the land). City of Sydney Council - Our town planner prepared the town planning (Statement of Environmental Effects) report and architectural design plans to support a development application (DA) for the alterations & addition to an existing industrial office unit in Yurong Street, Darlinghurst (City of Sydney Council) to use as a gymnasium. Challenges for our town planner was reviewing and analysing Sydney Local Environment Plan 2012 & Sydney Development Control Plan 2012 and ensuring that the development could comply with car parking, waste management, noise management requirements (through an Acoustic Study). Campbelltown City Council - TRANPLAN consulting prepared the town planning (Statement of Environmental Effects) report to support two development applications (DA) for the new dwelling house & granny flat within the master planned residential subdivision of part of the University of Western Sydney (now known as Western Sydney University – WSU) in Curie Road, Campbelltown (Campbelltown City Council). Challenges include analysing the architectural design plans and reviewing State Environmental Planning Policy (Affordable Rental Housing) 2009, Campbelltown Growth Centres Precinct Plan 2013, Campbelltown Council's Campbelltown Local Environment Plan 2015 & Campbelltown Development Control Plan 2015 (including the University of Western Sydney Site Specific DCP. The Hills Shire Council – TRANPLAN Sydney town planning consultant prepared a town planning (Statement of Environmental Effects) report and development application (DA) package to support the DA for the digital conversion of an existing business identification signage to a digital sign for the Kenthurst Public School (NSW Department of Education) in Kenthurst Road, Kenthurst (The Hills Council). 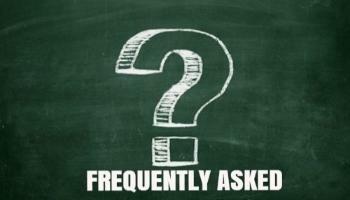 Other town planning services include researching State Environmental Planning Policy No. 64, The Hills Shire Council’s Local Environment Plan 2012, The Hills Development Control Plan 2012, and the Transport Corridor Outdoor Advertising and Signage Guidelines. Campbelltown City Council - TRANPLAN consulting prepared the town planning (Statement of Environmental Effects) report to support a development application (DA) for the new dwelling house & secondary dwelling (granny flat) within the master planned residential subdivision of ‘Newbrook’ (Airds Bradbury Urban Renewal Project) in Wheatley Drive, Airds (Campbelltown City Council). Challenges include preparing the architectural design plans and reviewing the Campbelltown Council's Campbelltown Local Environment Plan 2015 & Campbelltown Development Control Plan 2015 (including the Site Specific Airds Bradbury Urban Renewal Development Control Guidelines). City of Sydney Council – TRANPLAN’s town planning consultant prepared the Clause 4.6 variation report to support a development application (DA) for the non-compliance with number of storeys (Clause 4.3) for a new residential rear first floor extension in Anderson Street, Alexandria (City of Sydney Council), addressing the relevant controls of Clause 4.6 & the DCP to justify the non-compliance with the rear setback control. Council required the reduction of the first floor addition by 1.2m and our town planner assisted with the Section 82A Review Application. The site is located within an area with no predominate first floor rear building line. The proposed first floor on the subject site will transition from the warehouse development to the west to the terrace and cottage style dwellings to the east. The rear yard of the eastern adjoining will receive 2 hours of sunlight to 50% of its rear yard during the winter solstice, with the proposal only affecting this rear yard after 2pm. 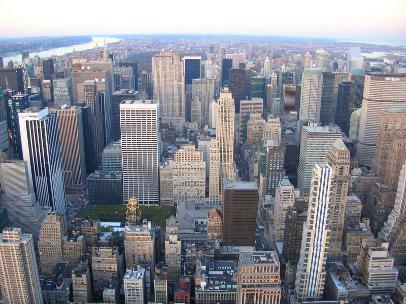 The application is not considered to result in any material impacts on the approved development or on the locality. Blacktown City Council - Our town planner prepared a town planning (Statement of Environmental Effects) report and architectural design plans to support the development application (DA) for use of part of the existing residential premises (kitchen) in Ipswich Avenue, Glenwood (Blacktown Council) for home business as a food preparation business. Challenges for our town planning consultant included thorough review of Blacktown Council's Blacktown Local Environment Plan 2015 & Blacktown Development Control Plan 2015 and addressing management & operational matters of the business to maintain the residential function of the property & neighbour amenity, to meet Blacktown Council requirements for home businesses. City of Sydney Council - Our town planning company prepared the town planning (Statement of Environmental Effects) report to support a development application (DA) for the alterations & addition to an existing gymnasium in Kent St, Sydney (City of Sydney Council). Main project issues were heritage, pedestrian safety, BCA compliance, waste management. Some aspects of the DA (the conversion of the loading dock to a new foyer) were not supported by Council and our town planner assisted with the Section 82A Review Application. that pedestrians already use the laneway and the proposal will encourage laneway activation which the City is supportive of and articulated in Council policy. there was insufficient data and information from the Council’s Traffic team to prove that the laneway was dangerous for pedestrians given the number of vehicles using the laneway per hour. It was noted that an increase in pedestrian use would be likely to improve the safety of the laneway. City of Sydney Council – Our town planner prepared the Heritage Impact Statement (HIS) to support a development application (DA) for the alterations & additions to a Heritage Item (Commercial Terrace Group including Interiors) in Erskine Street, Sydney (City of Sydney Council). Challenges include reviewing the City of Sydney Council's Sydney Local Environment Plan 2012 & Sydney Development Control Plan 2012, and working with the project architect to address design / heritage / planning issues. Blacktown City Council - TRANPLAN Consulting prepared the town planning (Statement of Environmental Effects) report to support a development application (DA) for the demolition of existing structures & erection of a contemporary 2-storey dwelling house in Hampshire Place, Seven Hills (Blacktown City Council). Challenges include preparing the architectural design plans and reviewing the Blacktown Council's Blacktown Local Environment Plan 2015 & Blacktown Development Control Plan 2015, and working with the project architect to address design / planning issues. City of Sydney Council - TRANPLAN prepared the Heritage Impact Statement (HIS) to support a development application (DA) for the alterations & additions to a Heritage Item (former Gazebo hotel) in Elizabeth Bay Road, Elizabeth Bay (City of Sydney Council), which is also in a Conservation Area. Challenges include reviewing the City of Sydney Council's Sydney Local Environment Plan 2012 & Sydney Development Control Plan 2012, and working with the project architect to address design / heritage / planning issues. City of Sydney Council - TRANPLAN town planner prepared the town planning (Statement of Environmental Effects) report to support a development application (DA) for the fitout and use as licensed Chinese restaurant in Goulburn Street, Haymarket (City of Sydney Council). Challenges include reviewing the City of Sydney Council's Sydney Local Environment Plan 2012 & Sydney Development Control Plan 2012 and liaising with the client in preparing a Plan of Management. Burwood Council - Our town planner prepared the town planning (Statement of Environmental Effects) report & Plan of Management to support a development application (DA) for the new use of a tenancy as a licensed Chinese restaurant in Burwood Road (Burwood Council). Challenges for our town planner was researching and reviewing the Burwood Council Local Environmental Plan 2012, and Burwood Development Control Plan. Strathfield Municipal Council - Our heritage consultant prepared the Heritage Impact Statement (HIS) to support a development application (DA) for the demolition of an existing house and to build a contemporary 2-storey house in South Street, Strathfield (Strathfield Council). The property is located next to a Heritage Item. The Heritage Report had to address the heritage requirements of Strathfield Council's Local Environmental Plan 2015 & Development Control Plan, and justify why the development would not adversely impact on the neighbouring Heritage Item. Canterbury-Bankstown Council - Our town planning consultant prepared the town planning (Statement of Environmental Effects) report to support a development application (DA) for the Torrens title subdivision of an existing property in Rookwood Road, Yagoona (Canterbury-Bankstown Council) to a 2 lot battle-axe subdivision. Challenges include reviewing the Bankstown Council's Bankstown Local Environment Plan 2015 & Bankstown Development Control Plan 2015 and liaising with the client in preparing the Contour Survey plan & draft plan of subdivision. Ku-ring-gai Council – TRANPLAN town planning & heritage company provided Heritage Advice regarding an existing property at the rear of a battle-axe block in Braeside Street, Wahroonga (Ku-ring-gai Council). Challenges for our heritage consultant were the thorough research of Ku-ring-gai Council's Ku-ring-gai Local Environment Plan 2015 & Ku-ring-gai Development Control Plan, and Heritage Inventory for the Wahroonga Heritage Conservation Area (HCA) to determine whether the property is contributory, neutral or detracting building in the HCA & advise the development options available. Willoughby City Council - Our town planning & heritage company provided town planning advice regarding an existing property in Willoughby Road, Willoughby (Willoughby City Council). Challenges for our town planner was the thorough research of Willoughby City Council’s controls - Willoughby Local Environment Plan 2012, and Willoughby Development Control Plan to calculate the maximum additional floor space allowed for an extension to the property. Burwood Council - Our town planner prepared the town planning (Statement of Environmental Effects) report to support a development application (DA) for the kitchen mechanical exhaust system outlet for a new restaurant in Burwood Road (Burwood Council). Challenges for our town planner was researching and reviewing the Burwood Council Local Environmental Plan 2012 and Burwood Development Control Plan. City of Sydney Council – Our town planner prepared the town planning (Statement of Environmental Effects) report to support a development application (DA) for the late-night operation until midnight for a Convenience Store in Darlinghurst Road, Darlinghurst (City of Sydney Council). Challenges include reviewing the City of Sydney Council's Sydney Local Environment Plan 2012 & Sydney Development Control Plan 2012 and liaising with the client in preparing a Plan of Management to address impacts of late night trading, security / safety, and public amenity. Waverley Council - TRANPLAN town planner prepared the development objection for a development application (DA) for a dwelling house (actually a boarding house development in Paul Street, Bondi Junction (Waverley Council). Challenges include reviewing Waverley Council's Sydney Local Environment Plan 2012 & Sydney Development Control Plan 2012, and objecting to the significant amenity issues because of the bulk, height, setbacks, overshadowing, loss of visual & acoustic privacy traffic/parking etc. City of Sydney Council – Our town planner prepared the town planning (Statement of Environmental Effects) report to support a development application (DA) for the late-night operation of a cafe in King Street, Newtown (City of Sydney Council). Challenges include reviewing the City of Sydney Council's Sydney Local Environment Plan 2012 & Sydney Development Control Plan 2012 and liaising with the client in preparing a Plan of Management to address impacts of late night trading, security / safety, and amenity. City of Canada Bay Council - Our town planning company was engaged to provide planning advice into the planning issues for a property in Ada Street, Concord (Canada Bay Council). The property had approval for a development application (DA) for the demolition to an existing 1-storey cottage (contributory building in a Conservation Area and is in the vicinity of Heritage Items) and erection of a modern flat roof dual-occupancy (duplex) in Franklyn Street, Concord. Challenges for our town planner were the thorough research of Canada Bay Council’s controls - Canada Bay Local Environment Plan 2013 & Canada Bay Development Control Plan and working with the project architect to address design / heritage / planning issues. Leichhardt Municipal Council (now Inner West Council)– TRANPLAN’s town planning consultant prepared the Clause 4.6 variation report to support a development application (DA) for the non-compliance with Floor Space Ratio (Clause 4.4) & Site Coverage (Clause 4.3A) for a new residential rear renovation & first floor extension in Roseby Street, Leichhardt (Inner WestCouncil). Challenges include reviewing the Inner West Council's Leichhardt Local Environment Plan 2013 and addressing the relevant controls of Clause 4.6 & to justify the non-compliance with the maximum floor space. Marrickville Council - Our town planning consultant prepared a development objection for a boarding house in Livingstone Road, Marrickville (Inner West - Marrickville Council). The neighbour wanted to make an objection to a development application (DA) for a 3-storey/27-room boarding house. Challenges for our town planner was the thorough research of State Environmental Planning Policy (Affordable Rental Housing) 2009, Council's Marrickville Local Environment Plan 2011 and Marrickville Development Control Plan 2011 and review the impact of the proposed development on the character of the local area & inconsistency with SEPP 2009, social impact & heritage conservation issues as well as amenity issues to neighbours. 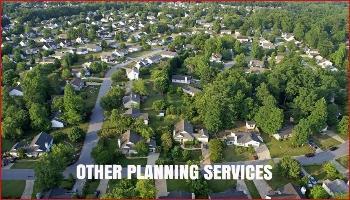 TP Town Planner has experience working with all levels of government. 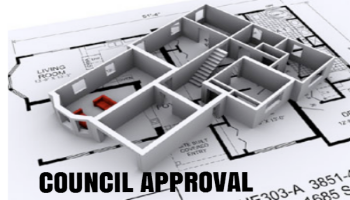 Our town planning company is the Council approval specialists / experts. TP Town Planner can also prepare Heritage reports / statements and Heritage advice for developments that involves a heritage item, or is in the vicinity of a Heritage Item / Heritage Conservation Area. 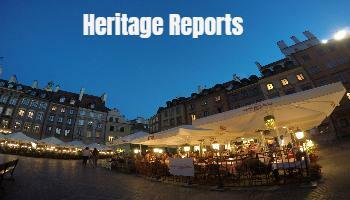 We are a one-stop-shop for all your town planning and heritage needs. 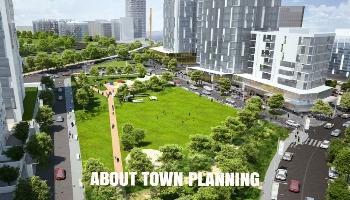 TP Town Planner offers affordable and value-for-money service. Our town planning consulting fee structure is highly competitive and offer value for your hard earned money, and will better any comparable town planning service offer. TP Town Planner provides a FREE initial consultation, so that our town planners can fully understand your town planning needs and cater for it accordingly. Local Councils or Local Government Areas (LGA) that our Sydney town planner regularly deal with for all types of residential, commercial, industrial, subdivision applications in Metropolitan Sydney are Ashfield (Inner West), Auburn (Cumberland), Bayside Council, Blacktown, Blue Mountains, Burwood, Camden, Campbelltown, Canada Bay, Canterbury-Bankstown, Central Coast, Cumberland, Fairfield, Georges River, Hawkesbury, Holroyd (Cumberland), Hornsby, Hunters Hill, Hurstville (Georges River), Inner West, Kogarah (Georges River), Ku-ring-gai, Lane Cove, Leichhardt (Inner West), Liverpool, Manly (Northern Beaches), Marrickville (Inner West), Mosman, North Sydney, Northern Beaches, City of Parramatta, Penrith, Pittwater (Northern Beaches), Randwick, Rockdale (Bayside), Ryde, Strathfield, Sutherland, City of Sydney, The Hills, Warringah (Northern Beaches), Waverley, Willoughby, Woollahra, Wollongong. Our Sydney town planning company also work closely on large planning projects including State Significant Developments (SSD) with NSW Department of Planning & Infrastructure (DP&I), Environmental Protection Authority (EPA), NSW Heritage Office, NSW Housing, NSW Infrastructure, NSW Fire & Rescue, NSW Rural Fire Service (RFS), Roads & Maritime Services (RMS), Transport NSW, Urban Growth NSW. Apart from servicing Sydney, North Shore, Northern Beaches, Inner West, Eastern Suburbs, Western Suburbs, South West Sydney, the Hills; our town planning company also assist clients in the Central Coast & Newcastle, North Coast, Illawarra, South Coast, Southern Highlands, Central West and Snowy Mountains regions with town planning issues such as preparing Heritage reports, development applications (DA), Statements Of Environmental Effects (SEE) reports, rezoning, subdivision, residential, commercial, industrial developments, advice about site development potential, strategic planning or Land and Environment Court appeals. Town planning / urban planning is very confusing to the non-town planner, why struggle through all the complex NSW Legislation and Environmental Planning Instruments (EPI) such as State Environmental Planning Policy (SEPP), Local Environmental Plans (LEP), Master Plans, Development Control Plan (DCP), Voluntary Planning Agreements (VPA) when our town planning company can do the hard work for you. Our Sydney town planner can also provide expert representation at Joint Regional Planning Panels (JRPP), Planning Assessment Commission (PAC), NSW Land and Environment Court (LEC), and Independent Hearing and Assessment Panels (IHAP) hearings.